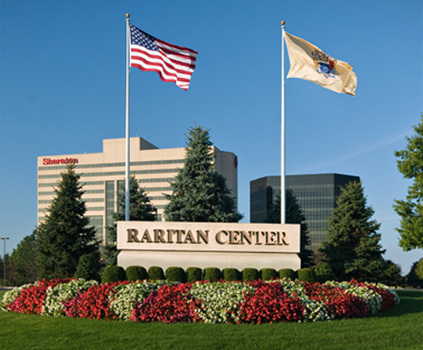 Raritan Center® is one of the most widely selected business parks in New Jersey. It’s home to hundreds of companies — Fortune 500 companies, Global 500 companies, and market leaders from every business sector. As a master-planned, mixed-use business park, Raritan Center® encompasses over 2,350 acres of land and almost 15 million square feet of business space, including office space, flex space, and warehouse/distribution space. Business amenities include restaurants, hotels, and banks, along with regional shipping centers for FedEx Express, United Parcel Service, and FedEx Ground.